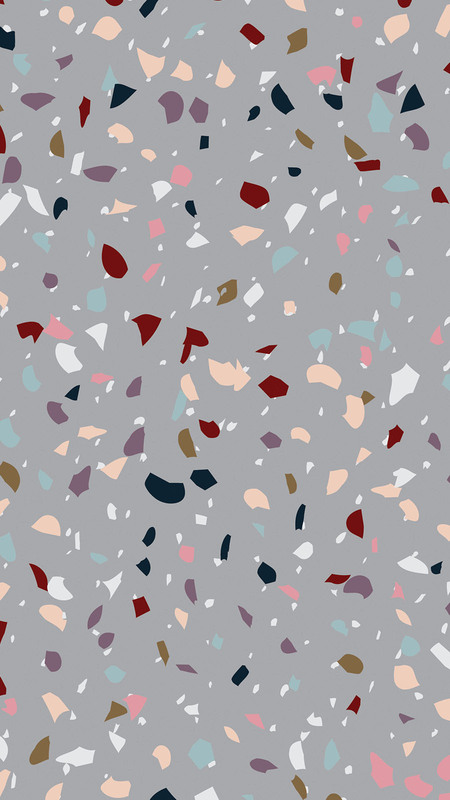 Terrazzo, what are they? They are composite materials consisting of chips of marble, quartz, granite, glass, or other suitable material, set in concrete and polished to give a smooth surface. Originating from Italy, they used to be popular back in the 1990s. Usually used as a form of flooring, now thanks to advancing technology and its ability to be made into laminates, it can be applied on to whatever surface you desire. 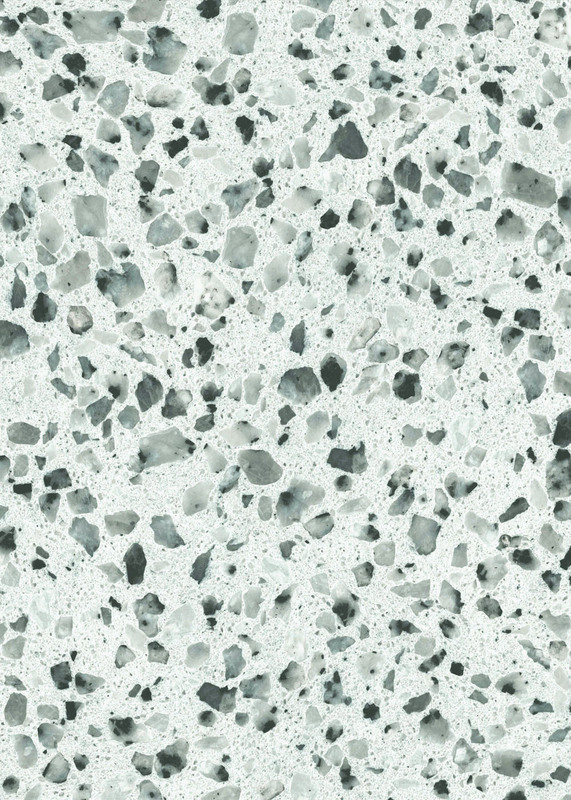 Terrazzo speckles are usually one of a kind as they are made out of crushed materials. The chips can be small or big or a combination of both. This Terrazzo design in particular consists of smaller chips. Giving its off-white base a bluish-greenish tint when viewed from a distance. It emits a nice vintage touch when added to contemporary settings. 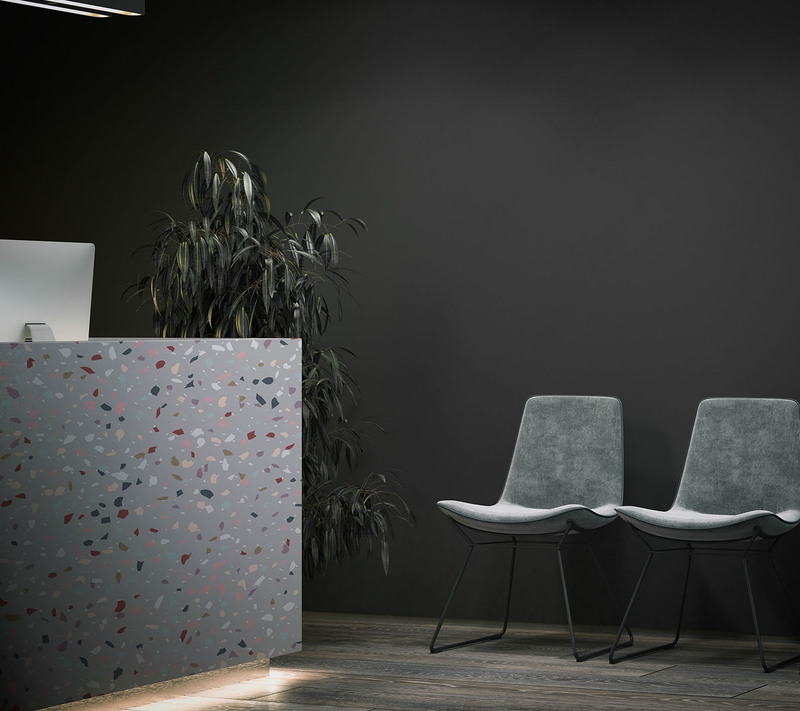 This design is the splitting image of real-life terrazzo when applied, especially when you finish with our high gloss finish. You get the same effect with even easier maintenance. Why not? Now that anything can be created digitally, bounteous possibilities await. 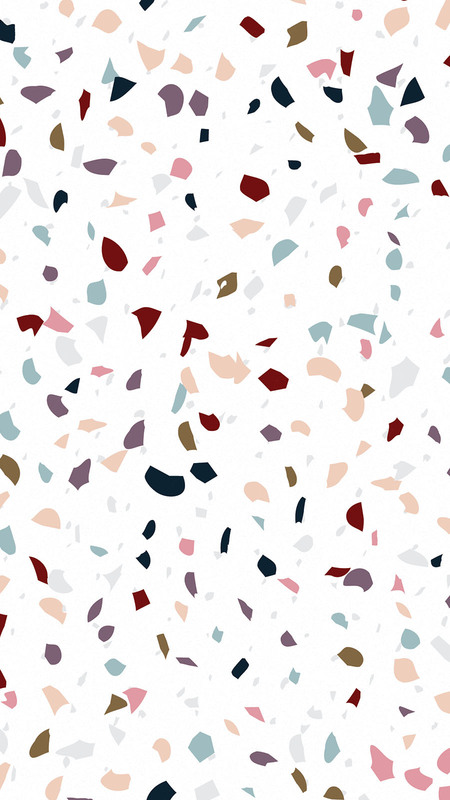 Llena Dove is one of two of our new terrazzo designs available now. All designs are continuous so that larger areas may be covered with the same designs with no worries for inconsistencies. Digital Terrazzos are fun and lively installations; they bring a little pizzazz to the environment. Llena Opal is the fraternal twin of Llena Dove. 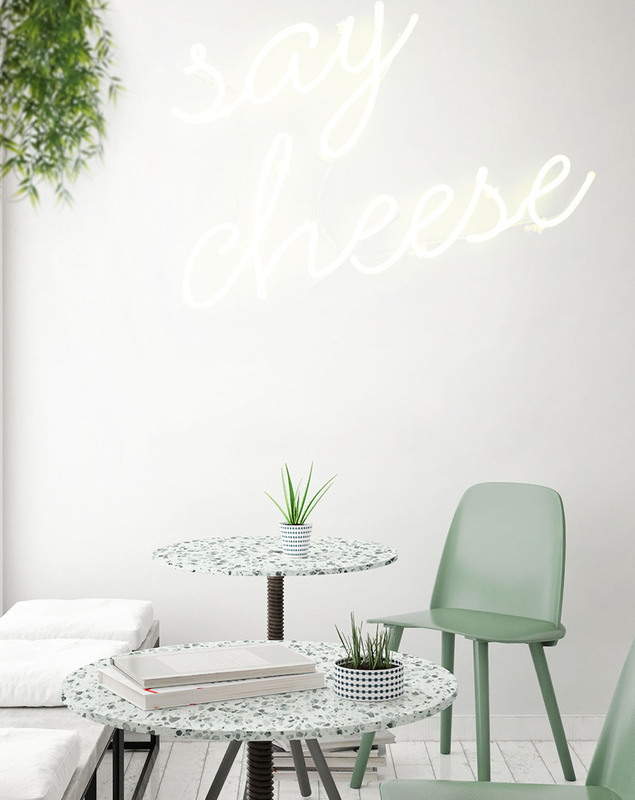 With a white base instead of grey, it’s terrazzo chips pop differently. What you wouldn’t realise at first glance is that the twins share the same colours for their terrazzo chips, yet they shine in their ways. Llena Opal helps brighten things up as the sun does during a beautiful sunny day. While it’s alter ego, Llena Dove, glams up the area quietly, just like the moon does when the sky dims. Terrazzos are luxury surfaces that were born over 500 years ago. Today terrazzos are making it’s come back once more, this time with added convenience and functionality that you can pick and choose on your own accord. So, what are you waiting for?